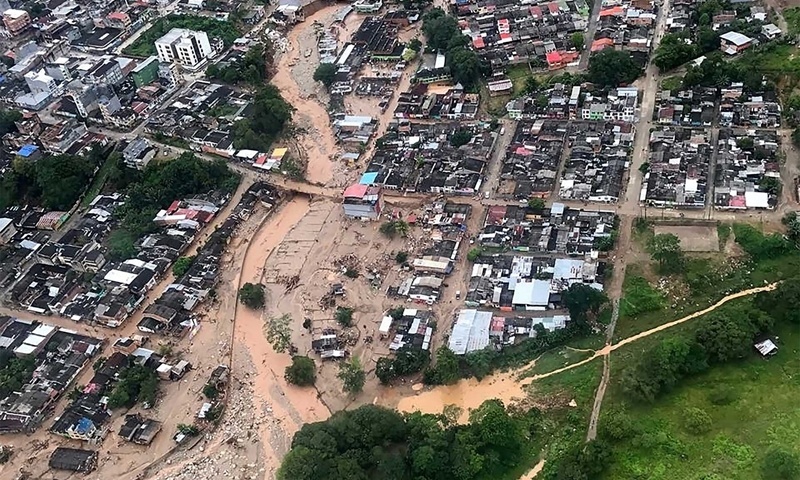 More than 200 people have been killed in Colombia by flooding and mudslides that devastated the capital of Putumayo, destroyed houses, and left many more injured and missing, according to the Colombian officials. Authorities said that storms last night may have dumped some five inches of rain that caused multiple rivers — the Mocoa, Mulato, and Sanguyaco — to swell, with some breaking their banks to trigger mudslides and an “avalanche” of water that demolished full neighborhoods and affected many other sections of the municipality of Mocoa. The death toll has been rising throughout the day, with some officials fearing it may still grow further as the search for survivors continues. Some 200 people remained missing early in the evening of April 1, according to the Colombian military. At least 400 others have been injured. The primary local hospital, according to a BBC report, is struggling to manage the situation. 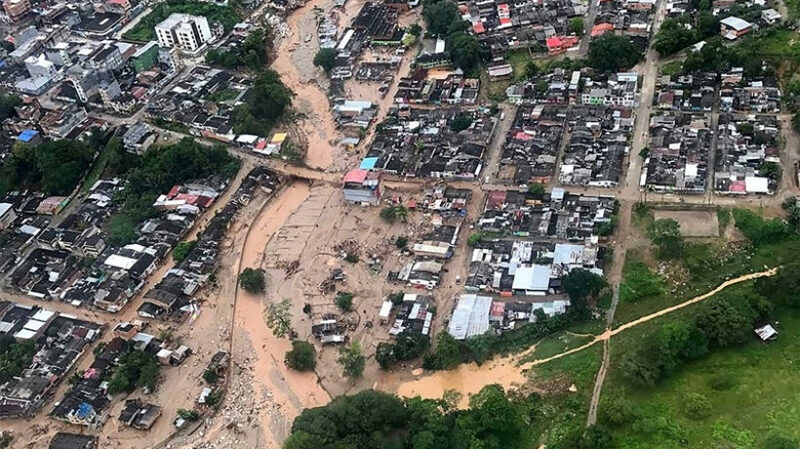 At least 21 survivors in critical condition were airlifted to Neiva, the capital of the department Huila located about 320 kilometers to the northeast by ground. Parts of Putumayo have lost electricity, and Mocoa was left without water service, according to the office of the president. Colombian President Juan Manuel Santos has issued a state of emergency and said that about 10 days worth of rain fell last night to “produce the avalanche” of water that overran the riverbanks. The president arrived in Mocoa today to “guarantee attention to the victims of this tragedy,” he said. Santos also said this morning that Colombia’s National Unit for the Management of Disaster Risk (UNGRD) is overseeing disaster response in Mocoa. As part of the country’s official National Risk Management System response, the Colombian military is on the ground and members of the armed forces have been seen carrying vulnerable citizens away from danger while working to preserve life and aid the injured. The emergency unit of the National Police and a specialized aerial unit of the army have also been sent to the scene of the tragedy. The Colombian Red Cross this morning mobilized a force of at least 22 people to join public officials on the ground in Mocoa. 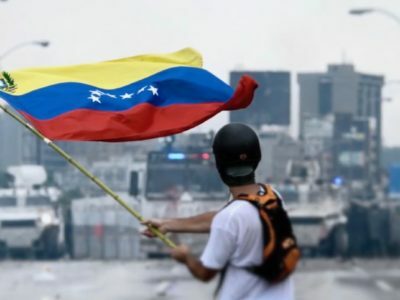 The United Nations has offered “to provide all the support that the Colombian authorities deem necessary.” Colombia’s UNGRD, which is led by Carlos Iván Márquez, immediately began gathering supplies to send humanitarian aid to those affected by the catastrophe, and the National Police made at least 14 flights into the area with supplies. By early afternoon, according to the UNGRD, more than 900 personnel from various agencies were working on search and rescue, caring for the wounded, verifying the location of survivors, delivering emergency aid, and other necessary tasks. That number rose to more than 1,100 later in the day, and the president said that at least four helicopters and five planes have also been present to assist officials. Some 50 tanker trucks were brought in by early afternoon as well to help in the ongoing effort to provide potable water to the community. 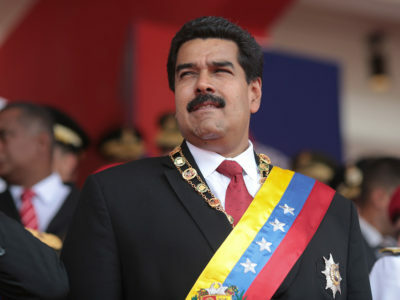 The president also told the press that the government is working on plans to manage the ongoing fallout of a catastrophe that will require a long recovery. In the afternoon, UNGRD began accepting monetary donations from those who want to help the victims. Those wishing to contribute can send funds directly to the agency’s Banco Davivienda savings account (cuenta de ahorros) #021666888. 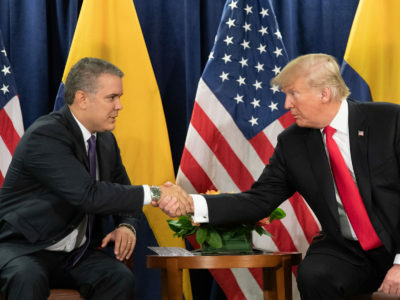 Many of Colombia’s other top public officials have also traveled to Mocoa to assist with the tragedy, including: Luis Carlos Villegas, minister of defense; Alejandro Gaviria Uribe, minister of health and social protection; Luis Gilberto Murillo, minister of environment and sustainable development; General Juan Pablo Rodríguez, top commander of the military; and Jorge Hernando Nieto, director of the National Police. This article has been updated throughout the day as more information has surfaced.